MARION – Tomatoes, still green, hung on their vines. 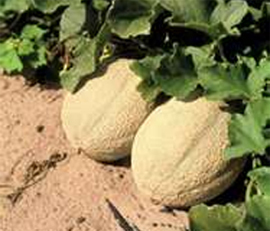 Melons continued to take shape as wildflowers and mustard greens dotted the green landscape with patches of yellow. Along with vegetables and fruits, faith, family and perhaps a little rebellion are growing at a once vacant piece of land on Patterson Street. The lot, once the home of Mark Street Elementary School, has been transformed into the Marion Community Garden. About 30 people participated in the garden’s first year as organizer Terry Cline has already started making plans for its second year. The Marion Community Garden is part of a growing trend as people turn to gardens as both a hobby and a way to avoid increasing prices at their local supermarkets. Prospect Street United Methodist Church at 185 S. Prospect St. also started a garden, inviting people from around the community to pick away when the vegetables reach maturity. Cline, who had worked on similar projects on a smaller scale in the past, acknowledged the weather provided a bit of an obstacle at first as gardeners couldn’t get in until June because of the wet spring. Despite that, he and others were pleased with how well their plants are growing. He looked over his plot on Friday, pointing to his honeydew melons and popcorn plants. There’s also corn, squash, cucumbers, beans and radishes. Those who had turned out heard about it through local media or from friends and family. Marion resident Revana Haynes called it a wonderful project as she grew corn, tomatoes, green beans, mustard greens, cucumbers, pumpkins, onions and peppers. Haynes said she got help from her grandson and some children from the neighborhood. Some, like Patrick Kelleher and Alberta Cress, have grown gardens before. For others, it was the first time as they credited the garden for giving them a place to go and experiment. “I have always wanted to be part of a community garden,” said Cress, who said she’d been gardening since she was 12. She also occasionally brings her grandson out to take part and planned to share her gardening experiences with a Vacation Bible School class she is teaching. Ealean Hatch and couple Terry and Ree Jones also thanked God for their blessings as Hatch picked green peppers and the Jones watered their plot. The Joneses said they enjoyed meeting other people and complimented the project on its success. Ree said having the community garden is helpful for those who wouldn’t usually have enough space to garden. Like others, she also said it gives people an opportunity to have fresh fruits and vegetables who may not be able to afford to buy them in supermarkets. “We are at a time now this really would help,” she said, referring to the struggling economy. Schrote said that was one of the ideas behind Prospect Street United Methodist Church deciding to start a garden. She said they thought a garden was a good way to reach out to the community considering the increasing prices of vegetables. The church planted green beans, radishes, onions, zucchini, yellow squash, cabbage and tomatoes. Schrote said some have already been picked while more will be ready to pick soon. Whatever isn’t picked will go to area food banks. Cline said Tri-Rivers Career Center horticulture instructor Kerry Beckel and Marion County Historical Society Director Gale Martin, who has a plot at the garden, will host a presentation at 6:30 p.m. Aug. 4 at the community garden. Meanwhile he already is talking about improvements he’d like to make in 2012 including what he hopes will be more people participating. “For the first year it’s a qualified success,” he said. Next post: Extension Answers: Is it safe to freeze vegetables without blanching them?